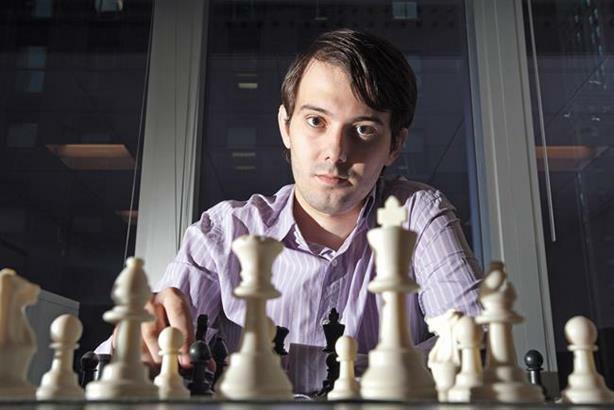 Little known startup Turing Pharmaceuticals caused worldwide outrage after the firm purchased live-saving drug Daraprim and raised the price by 5000 per cent. Media frenzy ensued when the cost of Daraprim sky-rocketed from $13.50 (£8.79) per pill to $750 (£488) per tablet overnight. The negative media attention spiralled out of control when Martin Shkreli, CEO of Turing proceeded to give press interviews in an attempt to justify the price hike. The CEO's insistence that company needed to "turn a profit" and aggressive responses to critics on Twitter only served to inflame the situation and he was quickly dubbed the "most hated man on the internet". One of his most high-profile critics was Hillary Clinton, who called on him to backtrack on the pricing strategy. Even billionaire businessman Donald Trump couldn't hide his distain for price hike. "This young guy raised the price to a level that’s absolutely ridiculous, and he looks like a spoiled brat to me," he said at a press conference at the University of South Carolina Koger Centre. "I thought it was a disgusting thing, what he did. I thought it was a disgrace." Turing CCO Craig Rothenberg stepped down from his position after less than two months in the role. No reason was given for his departure, but Rothenberg, who had spent 20 years at Johnson & Johnson, told PRWeek that the environment wasn’t right for him. In an attempt to repair the damage, Turing bowed to pressure to reduce the price of Daraprim, but has yet to reveal how much the drug will cost.